According to a news report by WTVD ABC-11, an ABC television affiliate in Raleigh, N.C., Janine Maves did everything right in her search for a suitable nursing home for her mother. She researched the available homes on medicare.gov and was pleased to find the home she chose had earned a four-star rating — she was confident her mother would be well cared for. So when Maves’ mother began complaining of pain in her feet and the unbearable coldness of her room, Maves was distressed to find what appeared to be frostbite on her mother’s foot. Doctors assured her that it was only a blood blister that would heal over time. But not only did the wound not heal, it turned gangrenous, requiring extensive treatment. As Maves came to realize, the ratings system is often faulty, with the most egregious of nursing home negligence cases falling through the cracks. Investigators for ABC-11 found multiple cases of nursing home neglect leading to the injury or death of patients throughout the state. Temperatures below 40 degrees, unsecured areas and abusive nursing staff often put residents in danger of injury or death. In Maves’ case, the state refused to intervene, stating insufficient evidence. With more than 400 nursing homes in the state of North Carolina, an occasional accident or unfortunate oversight might be expected. With cases of true nursing home neglect, however, a residential care facility has typically been cited multiple times and has failed to rectify unsafe situations, leading to the unnecessary suffering of residents and their loved ones. The American Psychological Association calls elder abuse a “complex problem,” noting that for every case of elder abuse that’s reported to authorities, as many as 23 cases go unreported. The most vulnerable in our society deserve better than this. 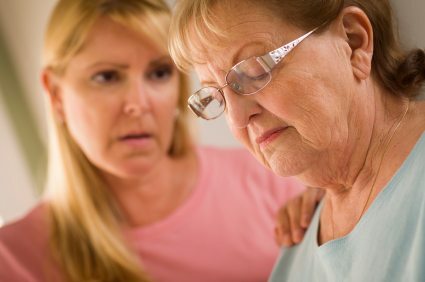 If your loved one has experienced trauma because of nursing home neglect, you have options. According to the AARP, the 1987 Nursing Home Reform Act gives nursing home residents and their families certain rights. Those rights, including the right to freedom from abuse, mistreatment and neglect, are protected by the federal government and a home in non-compliance could incur heavy fines or penalties, including revocation of its operating license. In most cases, residential care facilities are given the opportunity to correct unsafe conditions. Nursing home neglect or abuse is against the law and you have the right to compensation. If you feel that your loved one died or was injured due to unsafe or unsanitary conditions or willful abuse or neglect, we’re here for you. First, you can, and should, report these problems to government authorities. But in many cases, a nursing home abuse or neglect lawsuit may be filed to protect a resident’s rights or to obtain damages for physical and mental pain to the resident. Contact a Nursing Home Negligence Lawyer in Greensboro, N.C. The knowledgeable nursing home neglect and abuse lawyers at Ward Black Law in Greensboro, N.C, have years of experience representing clients and victims of nursing home negligence and abuse. With integrity and compassion, we’re available to answer your questions and conduct a free case review. Call us today at 336-333-2244, or toll-free at 1-877-256-1214. You may also reach Ward Black Law by email or online inquiry.